Located near Jurong Island and next to Pulau Bukom and the petrochemical plants there. And yet, this large submerged reef has corals and other reef life! 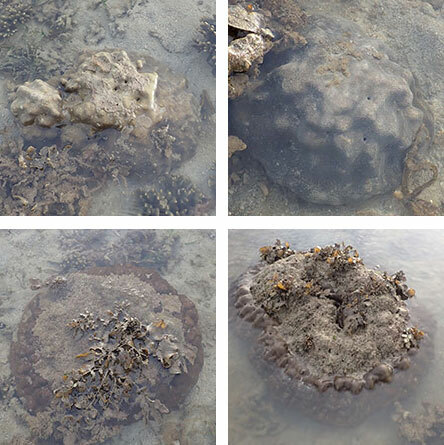 I was glad to see the field of living branching corals are still doing well, lots of large leathery soft corals. And Alex our skipper saw many small sea turtles around the boat while we were out on the survey. 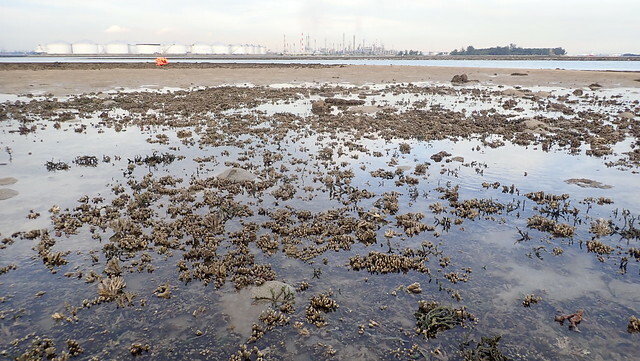 But sadly, the seagrass situation there seems to have deteriorated. I was happy to see the field of Branching montipora corals! It's quite close to our landing point on a safe sandy shore. Among the thicket of corals were sponges, seagrasses, other corals and small creatures. 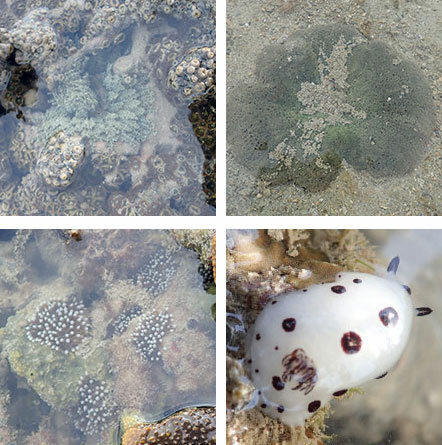 The nicest sighting was of and Extraordinary sea hare and cardinalfishes sheltering among living corals. Here's a video of the highlights of our trip. I didn't manage to survey the reefier parts due to the Sargassum 'bloom'. This time of the year, Sargassum seaweed forms thick golden brown carpets over the reefier parts. This is normal and nothing to be alarmed about. 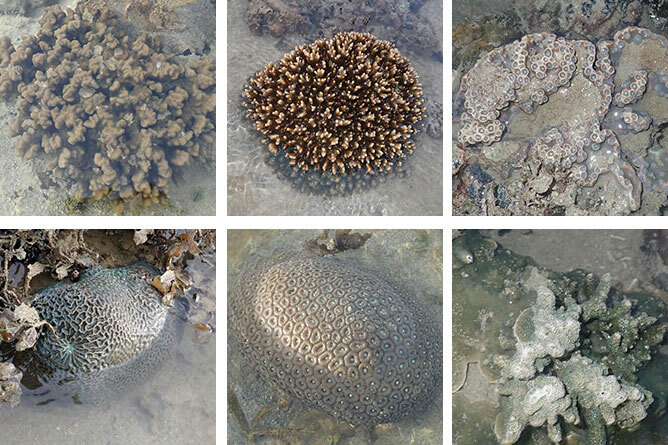 But I managed to see a small variety of hard corals, none of them were bleaching. Some of the Boulder pore corals were rather pale, but others were nice and brown. 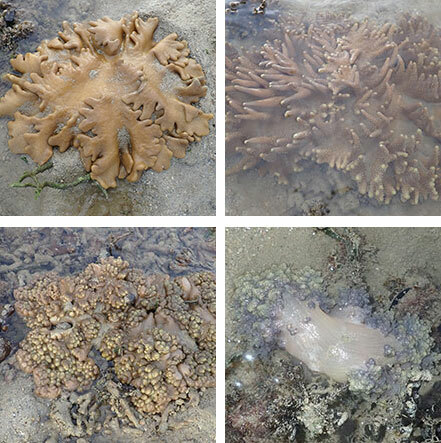 I also saw a nice variety of leathery soft corals. Some of them were quite large. None were bleaching. As usual, I saw common animals like Frilly sea anemones, Zoanthids, a Haddon's carpet anemone (no shrimps), White tipped corallimorphs which are common here, and a Jorunna nudibranch. 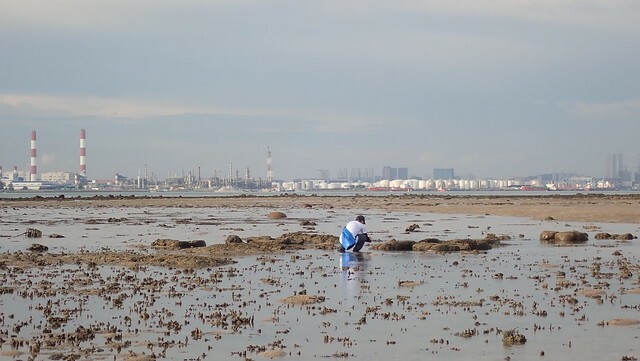 But none of us saw any giant clams. 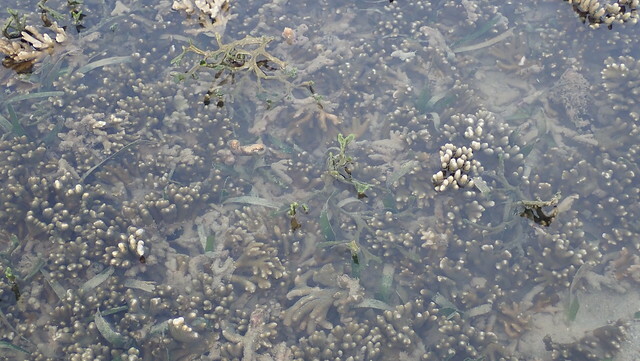 Alas, I didn't come across good seagrass growths. 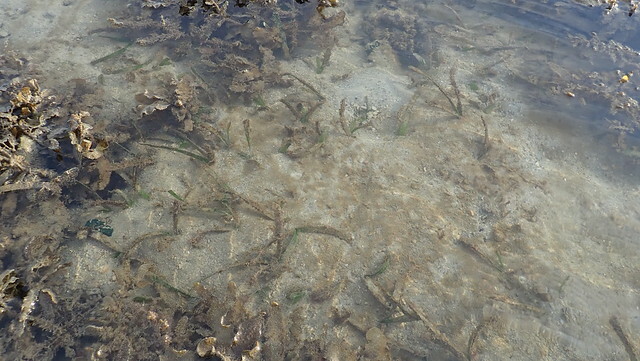 Seagrasses were sparse, heavily covered in epiphytes and most of the Tape seagrass I saw was cropped short. I sense the seagrasses were doing better on our last survey here in Apr 2017. 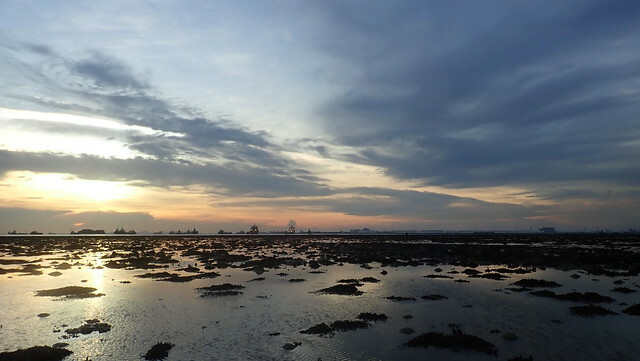 Once again, we enjoyed a lovely sunset at the end of our survey. Alex our skipper said he saw many small sea turtles around the boat while we were out on the survey. 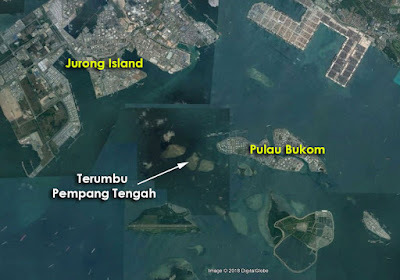 Here's the location of Terumbu Pempang Tengah. 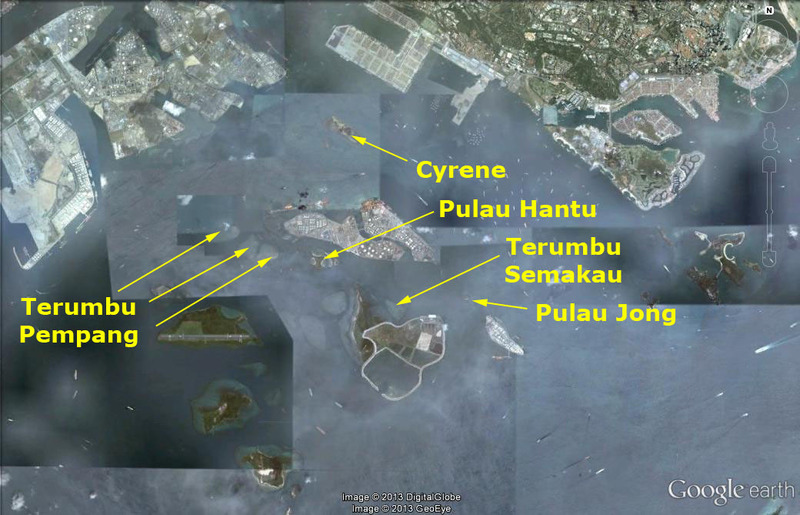 It is close to an area designated for parking of large unused construction sea vessels such as cranes, barges and huge work boats. The 2030 Landuse Plan by the Ministry of National Development released in Jan 2013 shows plans for 'possible future reclamation' (in light blue surrounded by dotted lines) that may impact Terumbu Pempang Darat and Terumbu Pempang Tengah. 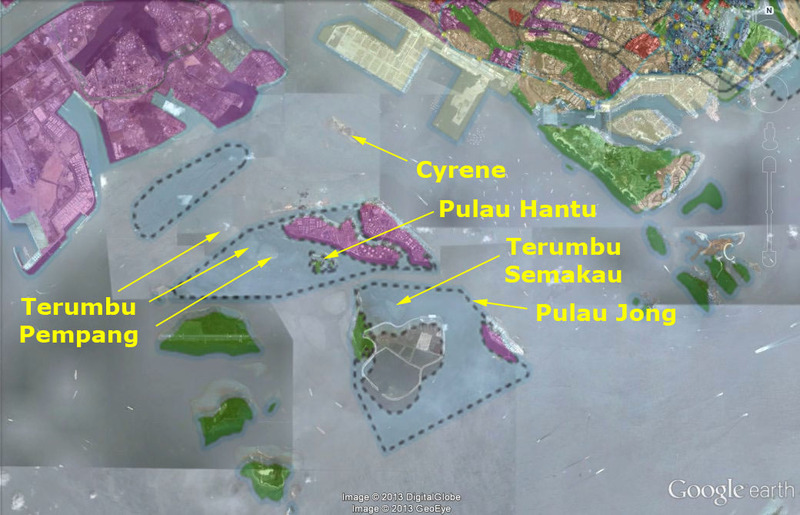 More about thepossible impact of the 2030 Landuse Plan on our shores. 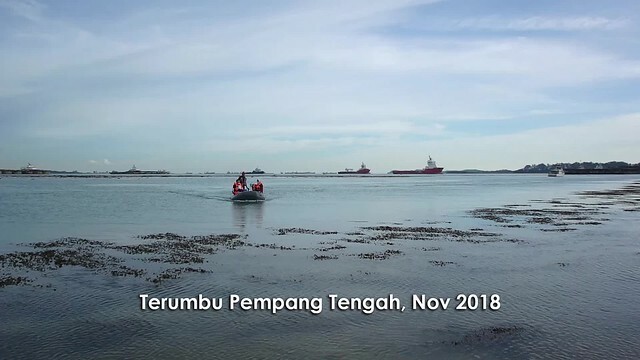 Let's hope these beautiful reefs will be spared this fate. Richard Kuah and on his blog. Others on this trip: Juria Toramae, Manfred, Choo Yi Feng, Shu Shan Lam.